I am an ordained minister in the Church of the Nazarene, Currently serving as the Assistant to the Pastor at Southside Church of the Nazarene in Indianapolis. 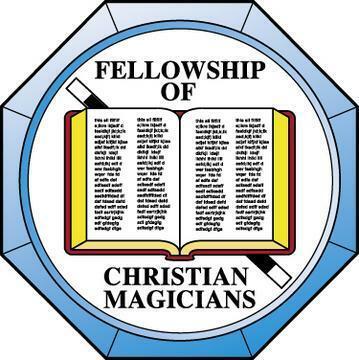 I am the 2nd Vice President of the Hoosier Chapter of the Fellowship of Christian Magicians (FCM), and also Director of the Magic Schoolhouse. I also build custom illusions; many of which I have used in my own shows over the years. One of my favorites is the Lion and Cobra, designed by Paul Osborne. Some of the smaller illusions (parlor size) I have built with my students at the Magic Schoolhouse include Silkola and a production box designed by Paul Osborne. I have consulted on magical effects for a couple of off-Broadway productions. I have been using the art of illusion to illustrate Bible lessons and sermons for over 30 years. On a more personal note. I was born and raised in Indianapolis, Indiana. I am a fourth generation Nazarene, My brother is an ordained elder and was a Nazarene missionary for 22 years in South Africa and also served for 1 year in the Philippines. I accepted Christ as my personal savior when I was 14 but it was many years before I came to a full understanding of sanctification. In fact for a long time I believed I was sanctified but while attending NBC and taking a class entitled “Doctrine of Holiness,” I came to understand that the sanctification experience the professor was describing was not the same experience that I knew. I stood to my feet, interrupting the lecture, and told the professor that I did not posses the experience he was teaching about, he stopped the class and we prayed until I knew that I had received the second blessing. I accepted the call to preach when I was 16 at a youth camp in Indianapolis, IN; Dr. Stephen Manley was the speaker and the desire to obey God was so strong that I literally threw myself across the altar. God reminded me that his gifts and callings are irrevocable (Ro 11:29) 26 years later (I took a short detour for a career in the army) when I sat under Dr. Manley as one of the last professors I had in my last year on campus at Nazarene Bible College; the call had come full circle and I graduated NBC in 2000 with a bachelors degree in Biblical Studies. I am currently serving as assistant to the pastor of the Southside Church of the Nazarene, in Indianapolis, Indiana.